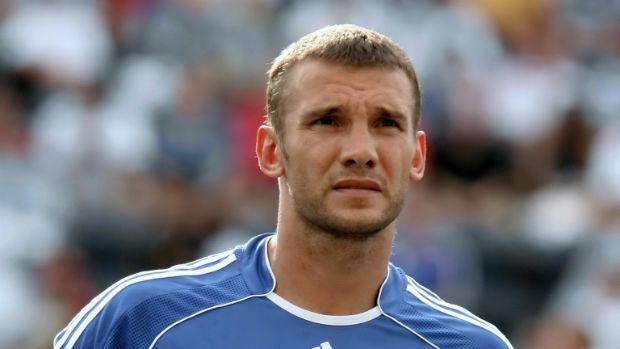 It’s not every day one gets to have a soccer player who retires from the game in order to dabble their hand in politics and this is exactly what Ukrainian striker Andriy Shevchenko did at the end of his professional career. This move left many fans perplexed as they thought the deadly striker would consider a career in coaching soccer but Shevchenko had other plans in his mind. He ultimately ended up doing what he should have earlier; by failing to win parliamentary representation Shevchenko opted to coach the national Ukrainian team in 2016. Despite this eccentric move, the Ukrainian is one of the deadliest strikers the game has ever seen. Shevchenko was the most prolific player in the history of his club Milan. Shevchenko is also an ambassador for the SOS Children’s Village charity. Andriy Mykolayovych Shevchenko was born in 1976 in Dvirkivschyna, Soviet Union. The tiny town was very close to the Chernobyl Nuclear Power Plant and his family had to be evacuated from the town. When he was nine he enrolled in a youth soccer club but following the evacuation Shevchenko briefly played boxing, he was even a competitive boxer in the LLWI Ukrainian junior league but eventually moved back to playing soccer. Soon a teenaged Shevchenko was elected for the Under-14 Dynamo Kiev team where he was and top goal scorer for the first two seasons. Shevchenko won League titles for the duration of his five seasons with the native club. His talents with the ball were soon noticed and Milan came calling for the active Shevchenko by 1999. In his debut season Shevchenko managed to win a Serie A title and finished scoring 24 goals in 32 matches. Shevchenko spent a prolific 7 years with Milan before moving to Chelsea which turned out to be a disastrous move for him. He eventually moved back to Milan after a nightmarish three years at Chelsea. Shevchenko is the fifth top goal scorer in all European competitions with 67 goals. For Milan alone he has a tally of 175 goals. Shevchenko is the fifth top goal scorer in all European competitions with a massive 67 goals. With a tally of 175 goals scored for Milan, Shevchenko is the second most prolific player in the history of the club. He is also the all-time top scorer of with 14 goals. Even while playing for Ukraine Shevchenko was making records, he remains the all-time top scorer for Ukraine with 48 goals in 111 games. With Milan he has won the UEFA Champions League in 2003, he has also won numerous league and cup titles in Ukraine, Italy and England. He was also an UEFA Champions League runner-up in 2005 and 2008. When he was the captain of the Ukrainian team he lead the team to their first ever FIFA World Cup appearance in 2006 and also to the UEFA Euro in 2012. Andriy Shevchenko has won the prestigious Ballon d’Or in 2004. He was also Serie A top goal scorer twice and was included in FIFA’s List of 100 Greatest Footballers of all times.